Our guide to Blackness at this year's fair. It's that time of year again. Art Basel is bringing its magic back to Miami. The annual art fair that showcases modern and contemporary art, is set to have more than 4,000 artists displaying work across all mediums. The Miami iteration of the week-long fair has become a space for artists, galleries, collectors and countless art lovers to connect, be inspired and party for the last 16 years. 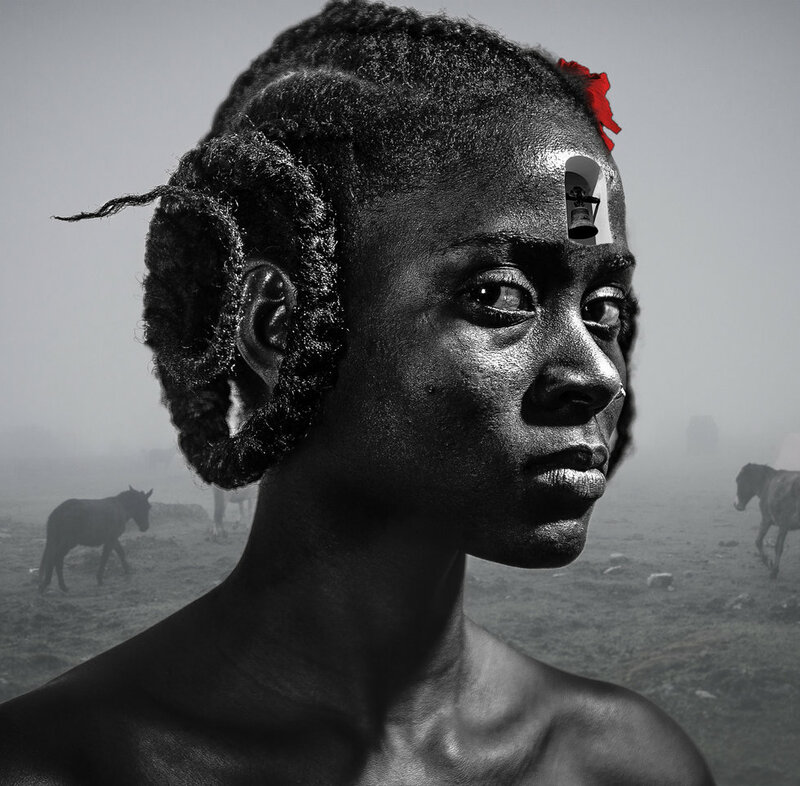 Art Africa Miami Arts Fair presents "Black Art Matters"
This year, the Art Africa Miami Arts Fair turns eight years-old and the theme is "Black Art Matters: It's Not A Choice." The fair will explore the role Black art has played in being an "intellectual, political and artistic rereading, trying to think of the contemporary condition of peoples that have been involved in struggles to stay human." There will be the "Art + Film" event featuring a screening of Through The Lens Darkly: Black Photographers and the Emergence of a People and " Art + Fashion" a dance party where attendees are the art. Art Africa Miami Arts Fair was founded by visionary and architect, Neil Hall, with not only the intention of showcasing Black art but to celebrate the community that birthed the festival, Overtown. The community that was once called "Colored Town" during the Jim Crow era also became a cultural hub in Miami. The fair has also been credited with amplifying Black Art in Overtown during Art Basel Week. Nigeria-born and Brooklyn based artist, Zina Saro-Wiwa, created the video series "Table Manners" that explores the " performative practices of food consumption as indispensable to the imagination of belonging in West Africa." It features Ogoni people eating Nigerian dishes like Roasted Ice Fish and Mu , Sorgor Salad with Palm Wine or Garden Egg and Groundnut Butter. Each video is minimal but colorful, creating an intimacy between the eater and the viewer. Saro-Wiwa said, "A powerful exchange takes place when one not only eats a meal but watches a meal being consumed. One is filled up with an unexplainable and potent metaphysical energy that we normally pay no attention to." The work is a highlights the eating practices with cultural specificity and what it says about self. 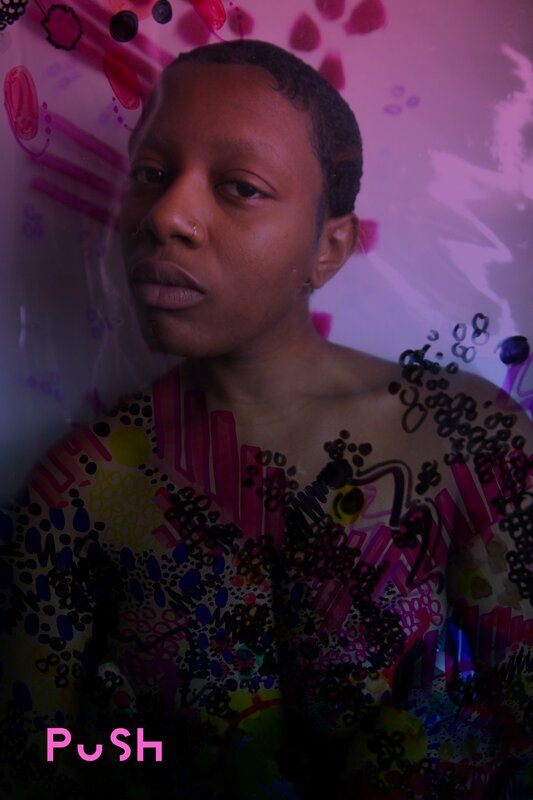 Liberian-American and Philadelphia based artist, Keturah Benson, will be presenting PUSH, a live interactive experience she said,"tears the veil between the artist and the audience." Instead of showing the glamorous finished product of a piece, Benson wants to showcase the often uncomfortable and grueling creative process. After attending Art Basel last year, she immediately began prepping and creating for this one. Whether it was leaving a 9-5 job, scrapping ideas or losing a venue for an exhibit, Benson captured it all. She will be showcasing three works: "The Self-Love Project", "The Quiet Place" and "I Create The Filter." Benson said, "The key is to remember you are not alone in this process, we spend a lot of time on social media comparing ourselves and this whole show is based around transparency.The goal is to motivate artists to push through." "AfriCOBRA: Messages to the People" is an exhibition presented by the Museum of Contemporary Art North Miami (MOCA) to celebrate of America's longest running artist collectives. AfriCOBRA is a black artist collective that began in 1968 in Chicago. 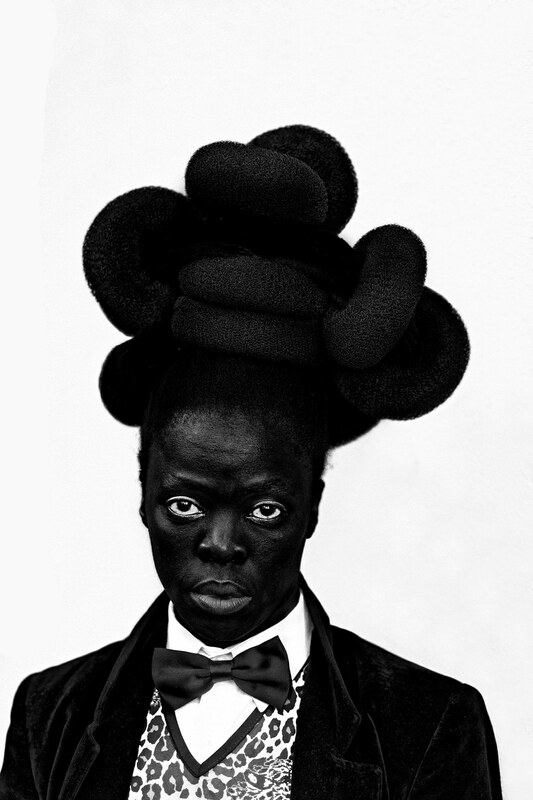 They looked to explore the Black aesthetic and defined it during The Black Arts Movement. This year, the Museum of Contemporary Art North Miami will be celebrating the 50th anniversary of the collective. There will be a meet and greet with Curator Jeffreen M. Hayes and the founding members of AfriCOBRA. Artists like Napolean Jones- Henderson, Barbara Jones-Hogu, Carolyn Mims Lawrence and more. They will be discussing their work with AfriCobra as well as their current works. Allison Janae Hamilton's PULSE Miami Special Project: Sweet milk in the badlands. Allison Janae Hamilton is a multi-disciplinary visual artist. Her work comprises of photography, video, sculpture, installation and even taxidermy. The Kentucky-born and Florida raised artist will be presenting Sweet milk in the badlands. at PULSE. The photo series explores landscape and its role in our understanding of the past and the present. It is described as a look "toward ritual, storytelling, and trance in search of the connections between landscape and selfhood, place and disturbance. It invites an uncanny cast of haints to lead the viewer through the beginnings of an epic tale that animates the land as a guide and witness." Based in Accra, Ghana, Serge Attukwei Clottey is a Ghanaian artist with a broad discipline in sculpture, drawing, performance and video. His work showcases and explores the power and presence in everyday objects. Clottey is known as the creator of "Afrogallonism"—a creative practice that sits at the intersection of environmental and social justice. He took the highly prevalent yellow gallon containers in Ghana and turned it into art that not only is a critique on overconsumption and an exploration of restoration. 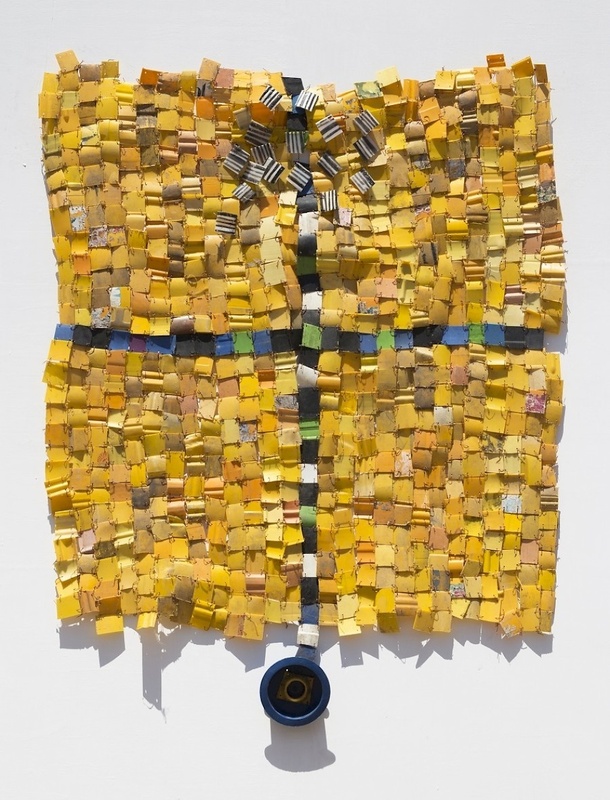 Catch Clottey showing work with Ghana's Gallery 1957 in Booth C7 at UNTITLED Miami.